It’s been an awful few days for supporters of the Labour party as a genuine alternative to the Tories. Or for any human being with a heart, for that matter. Almost 100 Labour MPs (not 100 or 102 as you may have read, since a handful of those who didn’t vote were absent because of serious illness or family situations, including Corbyn loyalists on the front bench) rebelled against their party to vote against a Labour parliamentary motion put forward by Shadow Foreign Secretary Emily Thornberry for the withdrawal of support for the Saudi-led coalition that has been targeting schools, hospitals and rescue services in Yemen, costing thousands of civilian lives. The vote was lost by fewer than 100 votes. If you really must know, it all went downhill for me and the campaign one freezing cold Monday morning back in early February. Like every other Monday morning I woke up bright and early, sat in total silence, spooned salted porridge down my throat and spent a good three hours studying the financial news in great detail. I remember being saddened to learn that a once popular chain of stationery shops called Paper Cuts had gone into liquidation over the weekend resulting in nearly two thousand scheduled redundancies. Determined to do all that I could for the economy I headed off to Harts Close with my placard and flask of tea, ready for another day of campaigning. You may already know, but Harts Close is one of the poorest estates in the north-west which is charmingly poor when you think how poor the north-west is in general. Even some of the affluent parts of the north-west look not unlike shantytowns in the developing world so imagine what one of the poorest estates looks like. But it’s all justified when you think how shiny our capital is. We mustn’t forget that spending hardworking taxpayers’ money outside of London is like putting banknotes through a paper shredder. That particular morning I was the first to arrive at Harts Close, beating my fellow campaigners by a good ten minutes. I began to set up the campaign stall for our Spare Bedrooms Are a Crime Against the Economy petition, hoping to recruit some new members to the cause although I wasn’t holding out on this. As I prepped the stall and waited for the other campaigners to join me, I was taken aback when I saw one of those appalling creatures leaving his home. With such high levels of unemployment at Harts Close he clearly wasn’t off to work hard and get along; he was off to, and it punishes my gag reflex having to say it, sign on. With a leaflet outlining all of the key information of our campaign, I approached him though being extra careful not to get too close in case he was contagious. ‘Haven’t got time to learn what you can do for your country?’ I said, cutting him off. I proceeded to explain that the Taxpayers’ Battalion has been on Question Time forty-nine times in the last three years and that we have a website which receives no fewer than seventy-five individual hits per quarter. But none of this seemed to impress him. He just gawped at me as if I was speaking in some obscure unga-bunga jungle language. ‘I’m not interested,’ this monstrosity told me while he started to walk away. ‘Get beeped!’ he shouted while holding up his middle finger. It probably comes as no surprise that this was a typical exchange with the residents of Harts Close. They just don’t want to listen to common sense politics. They are overwhelmingly joyous with the thought of dousing taxpayers’ money in gasoline and then setting it on fire. Every last one of them. Before long the other campaigners arrived slightly later than usual. Well I say others; I actually mean Trevor and George. The campaign had consisted of only three members since its inception, but back then we were utterly convinced that the rest of the taxpaying community would slowly grow to accept that we were speaking for all taxpayers. I suppose we had the producers of Question Time to thank for helping us with this. And before you say it: no the BBC doesn’t disproportionately represent members of the far right as to reinforce the impression that the whole of Britain longs to live under a dictatorship. They’re quite clearly part of the biased liberal media brigade dreamed up by Trotskyists in an effort to covertly support the red menace during the interwar period. We proceeded to spend the morning like any other Monday morning; drinking from our flasks and campaigning against the unemployed. Every time one of these spongers walked passed the stall we would wave our placards and ask them to sign our petition to strengthen the laws of the bedroom tax. But they never did; they just kept on living their economically inactive lives without a care where our money was being spent. Some of them would tell us to beep! off while others would make rude hand gestures when they walked on by. And whenever they actually tried to express their uninformed opinions, we would put our fingers in our ears and drown out their voices by repeating our motto over and over. And if you really must know, our motto goes like this: let’s all face the facts; life would be better if we didn’t support the weak with our tax! One day very soon it’ll be the national anthem. It was close to midday when things went from bad to worse. We hadn’t obtained a single signature, and I could tell that Trevor and George weren’t happy with my earlier comments regarding their failure to protest on behalf of all British taxpayers. But truth be told the three of us had been on bad terms for at least a month. During our last meeting it had come to light that Trevor’s eldest niece was a member of the same local library we tried to close down last year while George admitted that he’s recently had to cancel his private medical insurance. This means they both might as well be placing taxpayers’ money in a space shuttle and sending it to the moon so that future alien visitors can place it inside a museum and laugh at it at our expense. Of course I had let them both know how disappointed I was at the situation and it had been straining our campaign for some time. ‘I’m afraid we’re retiring from the Taxpayers’ Battalion,’ Trevor told me. But there was no convincing the pair of them. I could only watch as George and Trevor placed down their placards and walked away from our campaign stall, leaving me all alone at Harts Close. …but first it was time to visit my local member of parliament. You probably know the chap; he’s called Montgomery ‘Monty’ Pyeman-Hondo-Basildon-Skrog III. He’s a decent gentleman who understands that the only thing which is wrong with the free markets are those people who aren’t working hard enough and getting along like all decent people were born to do. They think this world is for having fun or something. So I went to Monty’s surgery at around about lunchtime. I walked straight to the receptionist’s desk and introduced myself. I trailed behind the receptionist who led me down a labyrinth of corridors. Meanwhile I told her all about my love for this green and pleasant land. I also explained how immigration is technically responsible for every crime ever committed and that the European Union headquarters is an exact replica of Stalin’s moustache if you turn it upside down so it’s a ruddy good job we got out before they made us all speak Russian. I was reassured to see that she agreed with me wholeheartedly. However, she seemed quietly offended when I told her that her job was a complete waste of taxpayers’ money. When we finally reached Monty’s office she knocked on the door three times and waited. The receptionist pushed her way inside. ‘This is the one o’clock appointment,’ she said to Monty before disappearing the way she’d come. I found Monty sitting at a Victorian writing table in his office, a quill pen in his right hand. He had a spectacular handlebar moustache and was wearing an old leather aviator hat. He was sitting beneath a large oil painting of the handsome Baroness Thatcher. Now there’s a remarkable lady! She knew the true meaning of democracy. If you really must know democracy has absolutely nothing to do with people taking control of their communities and everything to do with supporting the free markets. Every single democratic decision must strengthen the economy; no matter how many people suffer as a consequence. The economy must come first. If you don’t agree with this elementary fact of life then you’ve been brainwashed by cultural Marxism which, by the way, is a serious academic study. ‘Isn’t she a lovely piece of skirt?’ Monty said. As Monty handed me a beer I proceeded to reel off my shopping list of policy ideas. These included things like no votes for the unemployed, introducing the whip for unskilled workers, banning all technology which has been invented since nineteen fifty-nine, giving the vote to small to medium sized businesses, competitive Morris dancing the new national sport. So as Monty told this hilarious joke that insults women, environmentalists, wheelchair users and Islam he wrote out a cheque. Afterwards I thanked him and left his office. I then made my way to my only job that day. I should explain that before I ended up here I used to be a self-employed children’s entertainer. I used my profession as an opportunity to teach children how to be a true patriot. That afternoon I was performing for a room full of six year olds. I can’t remember the occasion; perhaps it was one of their birthdays. I started with my usual puppet routine where English Bob would demonstrate the failings of multiculturalism by having to speak Punjabi whenever he visited his local corner shop because the brown-skinned non-British subject behind the till couldn’t speak a single word of English. I then went on to the next lesson. This is a typical example of our lefty nation gone absolutely mental. Children nearly always want to work in the public sector; policemen, firemen, doctors. It’s as if they have this innate desire to want to help others. It was my mission to make sure that they all left Maxwell’s Laissez-Faire Circus Show wanting to pursue a career in corporate management. ‘No you don’t, Holly. Do you know what taxes are?’ Holly shook her head and furrowed her eyebrows. I then spent several minutes explaining to Holly the horrors of paying taxes only to see your hard-earned money being turned into hamster bedding by drug addicts and benefit cheats. Afterwards she agreed to show an interest in the retail sector. Another life saved from the rampant red menace. Finally I taught them the most important lesson of all; the lesson which all true patriots learn way before they learn how to tie their own shoelaces. ‘But I share with my friends all the time,’ came this squeaky voice. A few other children admitted to sharing so I told them that they’ve got no chance either. I then gave the sweeties to a child who promised not to pass them on to anybody else. And that was the end of the show. You really have to get them while they’re young and beat out any niceness from their little hearts so they’re ready to step in to the boring world of doing business. As I walked the streets in the direction of home I began to feel deflated. This was, of course, everything to do with Trevor and George’s sudden exit from the campaign. I told myself that the only way I could pick myself up was by going back to Harts Close with a megaphone and campaigning against the unemployed harder than ever. It was four o’clock in the afternoon when I arrived for the second time that day. Most of the unemployed had been out on their shopping sprees and were now taking hard drugs in their mansions. This, of course, was an outrageous lie. Nobody had been out to talk to me; they were all too busy smoking crack heroin drug pipes and watching repeats of Jeremy Springle to worry about what I was up to. But it was no use; this officer proceeded to read me my rights and then he took me to the police station. All the while I calculated how much this terrible mistake was costing the hardworking British taxpayer and kept everybody present updated. When I arrived at the station I got one free telephone call which turned out to be a complete waste of taxpayers’ money. I made the call to my best friend Monty. It was the receptionist who picked up. When I told her who I was, she put me straight through. ‘Who is this?’ Monty said. And with that the phone went down. I should probably tell you that I haven’t spoken to Monty since that call although I know that deep down we’re the best of friends. He’s just like a normal person and he thinks about me every day. He really cares about the future of the British economy. But it’s what happened next that really hurt: using taxpayers’ money I was taken to court and was found guilty of breaching the peace. It was, of course, lie after lie after lie. All of them lying out of their backsides; including the judge and the jury. All of them blinking traitors. Regardless I was sentenced to fourteen days in prison. But the misery doesn’t end there either! A criminal record meant that once I’d been released from prison I could no longer work with children. After using Monty’s donation to cover my legal expenses I was immediately faced with the predicament of having to either, and I loathe to have to say it again, sign on or go homeless. Like a true patriot I chose to go homeless which is how I ended up under this motorway bridge, drinking turps and huddling round this burning metal skip with you lot. And if you really must know I’ve worked out that if I remain homeless for the next five years, three months and five days I will have technically paid back everything I have taken from the hardworking British taxpayer by refusing to receive any benefits. Then, when my life is finally back on track, I’ll be back to campaign until the welfare state is no more. 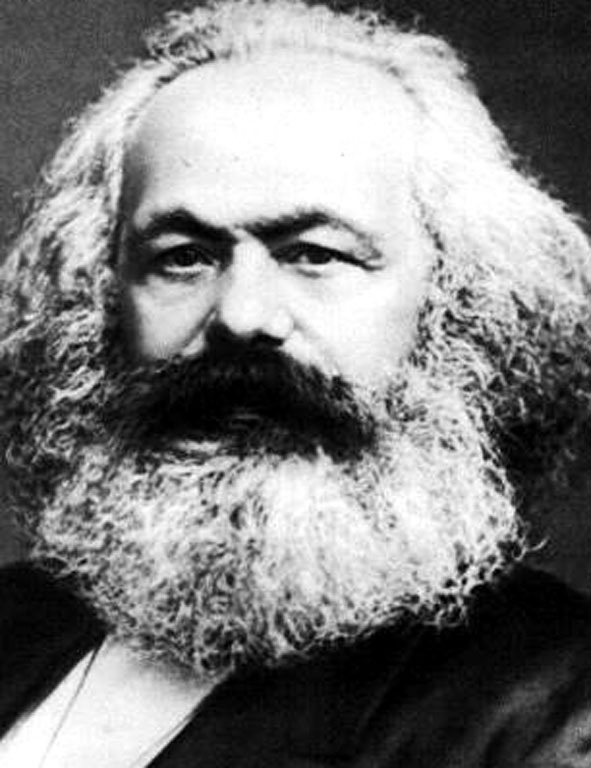 The timeless relevance of Marxism…. Karl Marx turns up in the most unlikely places. Two and a half decades after most US and European public intellectuals gleefully announced Marx’s ideas henceforth irrelevant, The Wall Street Journal offers a surprisingly measured discussion of his thought under the title The Most Worldly Philosopher (10-1&2-2016).